This 12x12 Sticker Sheet has a great assortment of Stickers. You'll find Borders, Tags, Phrases and more. 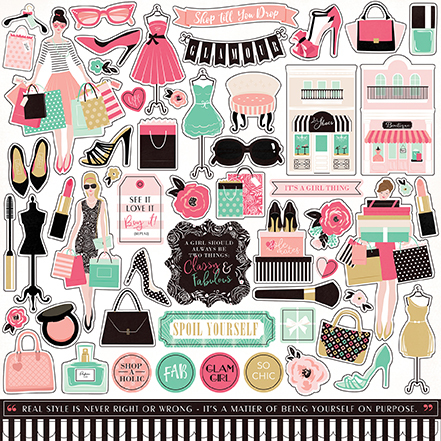 Look for coordinating Decorative Dies, Stamp Set, Ephemera Die Cuts & Designer papers. Part of the Fashionista Collection by Echo Park Paper.